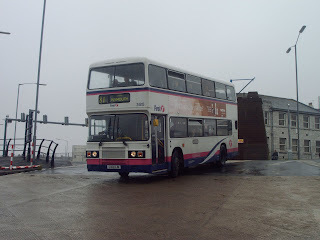 Torpoint's last Bristol VR LFJ 844W/1200/38844 has now replaced OTA 290G/1056 as the main show bus for the Western National Preservation Group. She will now take over many of her duties and shows that she would have gone to and has been doing for many years. This is done as OTA 290G is currently going throught refurbishment and repaint so may become the main bus again when this has been completed. But I would be much happier to see LFJ 844W ay as the main showbus. For some time now First have run a scheme trying to get big yellow school buses like seen in America onto the roads of Britain in a campaign to make it safer for children. But I want to pose the question do we really need them? First say that they are much safer and that they are more efficient than a normal school bus while trying to campaign to the government for money to buy them therefore making more money. But I think in this area we don’t need them. 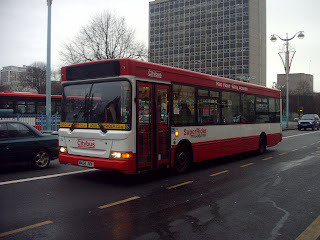 They are much bigger than a normal bus like a Volvo Citybus or Leyland Olympian but only carry around half of the people that those buses would. For example the Olympian will take 76 and these will only take around 40 at the most 60 for a bigger one which won’t even fir on the country roads around here which is the whole point of the school bus. To get people who can’t use a bus service or live close to the school they are trying to get too. To extend if they do happen to fit on the roads they use a lot more fuel than a standard bus. It will cost a lot on money to get the buses over to England in the first place which is also very un-environmentally friendly. I have also filled out a questionnaire (which I’m not supposed to do as I am a student) in a manor which goes very against what First are trying to campaign for. I have said that it will force the other companies out of business as school routes play a key part to the success of the companies. I have also put down that the children are always very good which they are on my bus but I know are not on all buses thought around my part they are always well behaved. So hopefully other people in the area have also put them off putting them here but who knows. The campaign bus has already been? So will it come for good. They have been surveying the nation about if they know how they should travel on the bus. Their research shows the many members of the UK have no idea on how to use the bus. Therefore with their research they have launched advertising campaign to try and educate the public on how to use a bus service. They say that them not knowing how to use a bus service puts many people off getting the bus and forces them into they’re cars simply because they don’t know when to ding the bell or how to ask to get somewhere. So they have produced the idiots guide to catching a bus to get them onto a bus. But that’s not all they have also had T.V adverts on that you may have seen advertising them as “The bus of Britain”. This advert is there to advertise there new buses (Dennis Enviro 400s) what they can be used for, who uses them and how cheap it is to get the bus. So Stagecoach are pulling all the stops out but will it work? 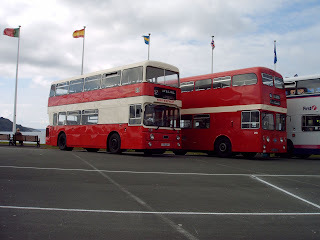 The 2009 Plymouth Hoe bus rally is set to be one of the biggest and best ones there has ever been in the Southwest. The rally is already unusual by being done on a two day basis. One on the Saturday for running, and the Sunday for exhibits and short rides. There is also usually 50 buses attending on the exhibit day. This year will be pretty similar held at the start of August but the 2009 rally will be different. This rally will be special as it is celebrating the 80th year since the Western National Omnibus company started off in 1927. And it is the 10th anniversary from when the company moved from there old depot at Laira Bridge to there current depot at The Ride. Well for 2009 it will be either a two or three day event run by the Western National Preservation Group, West Country Historic Omnibus and Transport Trust and First Devon and Cornwall. There will be memorabilia on sale with many treasures from the past. Talks from WNPG and WHOTT. 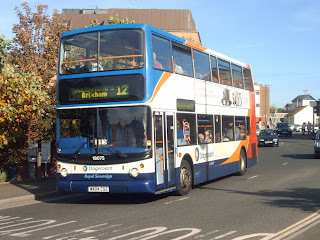 FDC will be copying Stagecoach and putting some of there modern vehicles into old liveries. Buses operating old routes with classic buses. 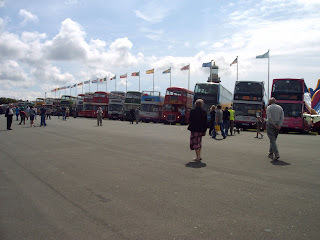 And over 300 buses on display from all the groups and privateers. We all look forward to the 2009 rally. ,I am writing to let you know that two of your photos have been short-listed for inclusion in the fourth edition of our Schmap Plymouth Guide, to be published early February2008.http://www.schmap.com/shortlist/p=11717981N02/c=SF1016153Clicking this link will take you to a page where you can:i) See which of your photos have been short-listed.ii) Submit or withdraw your photos from our final selection phase.iii) Learn how we credit photos in our Schmap Guides.iv) Browse online or download the second edition of our Schmap Plymouth Guide.While we offer no payment for publication, many photographers are pleased to submit their photos, as Schmap Guides give their work recognition and wide exposure, and are free of charge to readers. Photos are published at maximum width of 150 pixels, are clearly attributed, and link to high-resolution originals at Flickr.Our submission deadline is Wednesday, January 30. If you happen to be reading this message after this date, please still click on the link above (our Schmap Guides are updated frequently - photos submitted after this deadline will be considered for later releases). I was obviously very excited about this having my own pictures put into a published guide. 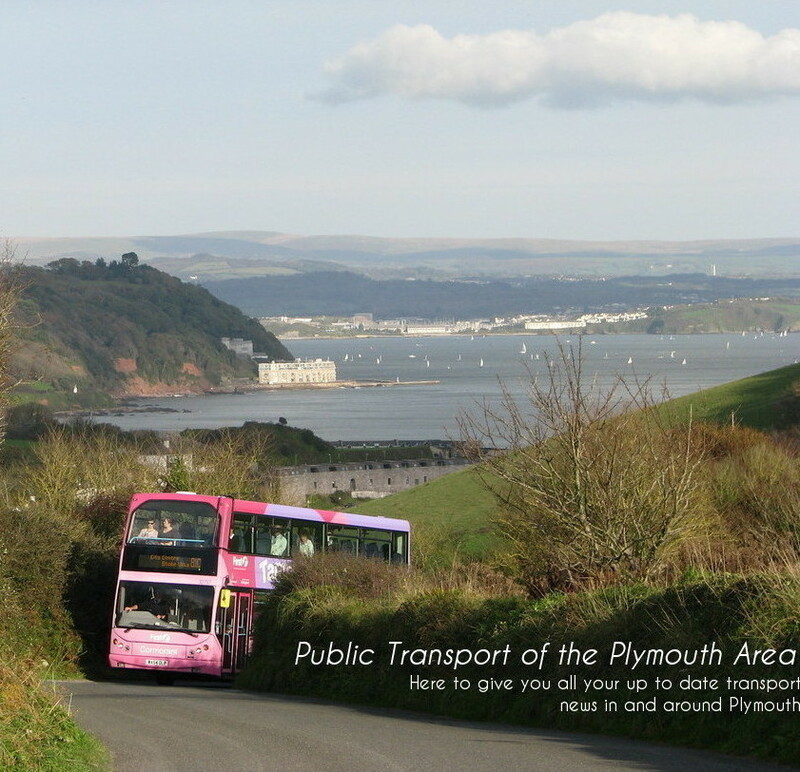 This was also helped as Luke Farley being onto me all day about his picture of the Plymouth sound being shortlisted as well. And how brilliant his was compared to my pictures. Well Luke have that I have 2 shortlisted. Pictures below are of my two photos short listed. 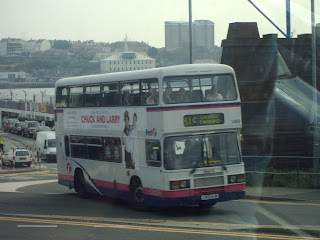 More news comes to me about the Leyland Olympians that were due to come to Torpoint. One of them has been transferred to Camborne depot but this is not been confirmed thought this would make sense as one of the six is missing from Plymouth. 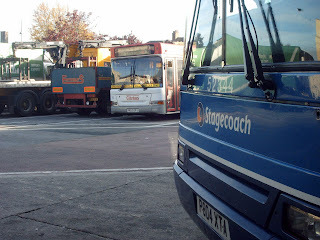 Derrick Cuff has now told me they should all be being transferred to Camborne thought some still think that the buses will be coming to Torpoint. 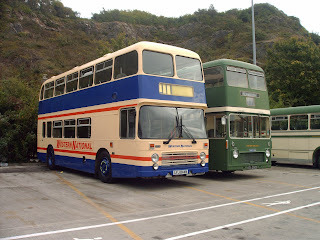 As I have said these buses might be replacing the Mercedes Varios and/or our lovely Leyland Olympians with proper engines in them unlike these with there horrible Cummins engines the same as seen in the Dennis Darts and the ultra modern Enviros. We’ll just have to wait to see where they go thought. Many mixed opinions. There are still also rumours about them going to Callinton. Maybe Penzance. Who knows? All I know is I don’t want them here. Just to start I apologise for the post the happened that was Luke Farley as he still has the details of my account from when he was posting on the site for those few days. Anyway on with the post. Plymouth Citybus have recently been painting some of there Dennis Darts on what they are calling the partial repaint scheme. The things done are that the normal grey bottom line going round the bus is repainted into the red that is seen on the top half of the bus. This is being done before the full repaint to save time when they do the whole repaint and most say that the partial livery looks better than the normal livery anyway even when it is partial thought I do not personally agree.